Of course, being one of the “big five” at the Eurovision Song Contest, France doesn’t need to bother itself with thoughts of how to sail through the semi final phase… they already have, being granted automatic qualification for the Grand Final, this year on May 14. 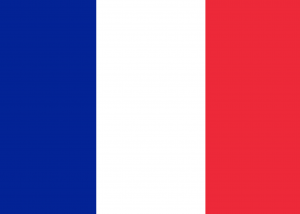 Brilliantly, the French are still immensely proud of their gorgeous language and so their song this year, ‘J’ai Cherché’ (‘I Have Been Looking For’), is partly in their native tongue; one of only a handful of nations still flying the flag for their own language. Like entrants from so many other countries this year (including Australia), the French entrant has a history with TV talent competitions, having placed third in the 2014 French edition of ‘The Voice’. The song itself sounds totally familiar… like a blend of Mans’ ‘Heroes’, something from Avicii and something else you’ve heard on the radio. It’s also now one of the favourites to take out the competition. Dix points.